Stormalong Bay is the exclusive pool for guests at the Yacht Club and Beach Club. It is actually more of a mini water park than a pool. 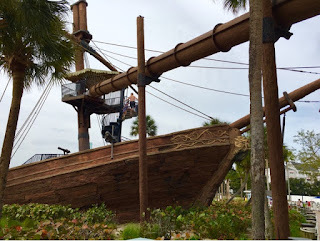 Today, I took this shot of the "ship wreck," which is the starting point for a very unique water slide.